We appreciate your vote of confidence in purchasing this DLUX product, and we hope that you are satisfied with your purchase. DLUX Composites S.L. guarantees that its products are handmade and free of defective materials or manufacturing. Each piece is subjected to various tests to verify its structure and quality, and at the end of each phase of the process, a technician verifies that the piece has been finished correctly, returning it if it is not suitable. Each piece is checked up to 5 times before it is packaged for delivery. We certify that all of the materials involved in its manufacture are of the highest quality and come from the leading manufacturers in their sector. Carbon fibre is an extremely light, yet sturdy material, but even so, as it is also a very beautiful product, we recommend that you are careful not to damage it. Use the product you have purchased for the purpose for which it was intended. 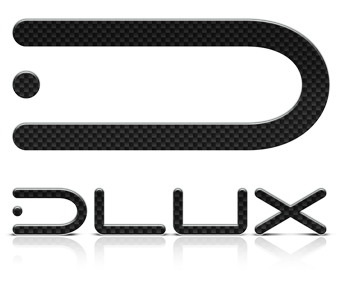 DLUX certifies that the carbon fibre used belongs to Cytec Industries Inc., one of the most important and prestigious manufacturers in the world. DLUX has certified organisations check to guarantee the purity of the metals that it produces and supplies to its customers. DLUX certifies the quality of its diamonds through a series of certificates. For diamonds of 1.2 carat or more, DLUX provides a GIA certificate; (Gemological Institute of America), for diamonds of less than 1.2 carat, DLUX issues its own certificate endorsed by its suppliers, certifying the quality thereof. Our products contain lacquers and varnishes that stand up to chemical agents and UV radiation very well, but even so, for proper maintenance, please follow the recommendations below. Products with solvents, abrasives, wax, glass-cleaning polish, or other products with chemicals. Scouring pads or dirty rags. Do not subject any piece to high temperatures. Don’t use perfumes directly on the pieces. Blow on the piece if it has dust on the surface. Use a neutral soap with warm water, rub it gently with your hands, and let the piece dry naturally. Use a micro-fibre or cotton cloth to dry it. If you care for your piece well, it will last for many more years.